Ever encounter snobs that say, "My lover and I never argue?" They stick their nose up in the air as if this is an Olympic gold medal accomplishment (seriously, do they want a cookie?) but little do they know that they're actually killing their relationship. Never argue? Is your 'lover' a robot? We bicker because we care, we fight because we have passion, we yearn to be right because we seek validation. So is the absence of disagreements and drama really all that admirable? Not always. John M. Grohol, Psy.D, founder of PsychCentral, says if you're not going at it, your relationship might be in danger. "Arguing stops because you don't care if you were right or felt hurt by another person's words or actions," Grohol says. That's a red flag, he adds, because if major issues are being brushed off with "whatever!" or "ugh, who cares," it's possible you've lost your will to fight - not only with your partner, but for the relationship. It's a sign of being comfortable enough to express your feelings. Conversely, suppressing your views shows uneasiness in having open discussions. It can incite high levels of arousal, which leads to a satisfying romp in the sack. "If [...] couples did not fight, they would rapidly lose sexual interest in one another," Dr. R. Joseph wrote in The Right Brain and the Unconscious. 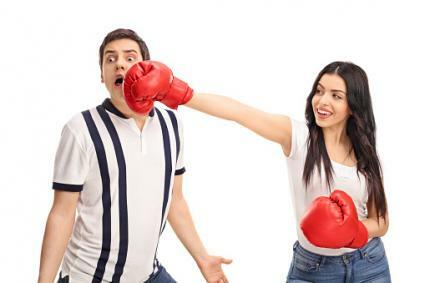 While your will to wrestle with your lover might be healthy, how you're bickering with your significant other can make or break your relationship. Knocking down furniture or breaking dishes won't solve a darned thing but create an even bigger mess - literally. There are ways you can conduct yourself during a quibble to promote a productive outcome. 1. Discover what you're really arguing about. Let's be honest. It's deeper than the stinky sock he left on the floor. The greater issue might be fairness in chores. Nip the core issue in the bud so it won't manifest itself in silly, inconsequential arguments. When Dr. Neil Clark Warren, founder of eHarmony, argues with his wife, he says "Honey, how can I give on this and how can you give on this so that we will be together?" In this way, a resolution can be found. Saying, "Oh yeah? Well, you want to talk about my dirty socks, let's talk about your shoes that cause a tsunami every time I open the blasted closet!" will only fuel the fire. Okay, we know it sounds counterproductive, but arguing more often shows that you're not sweeping problems under the rug. Don't allow issues to fester! Rather than holding it in like a ticking time bomb, just express yourself as soon as possible. You think you're right, he thinks he's right - sometimes it's best to conclude you're not going to agree on a subject. And that's okay! So jump back in the ring. Your desire to engage in a battle of the wits won't weaken the relationship. Au contraire! It shows investment and interest. Just be sure to argue the right way. 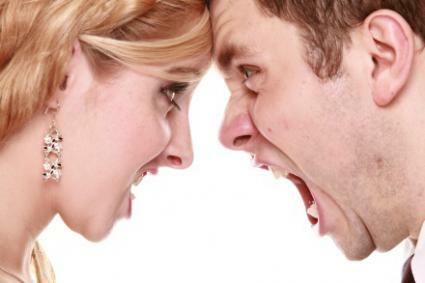 Being too disengaged to face-off with your lover, on the other hand, is likely to kill relationship.